Being an SEO company, We're more concerned about rising our potential client's profit and that's our promise to ourselves & thus we're counted under top 10 SEO company in Surat. SEO is a marketing discipline focused on growing visibility in organic (non-paid) search engine results. 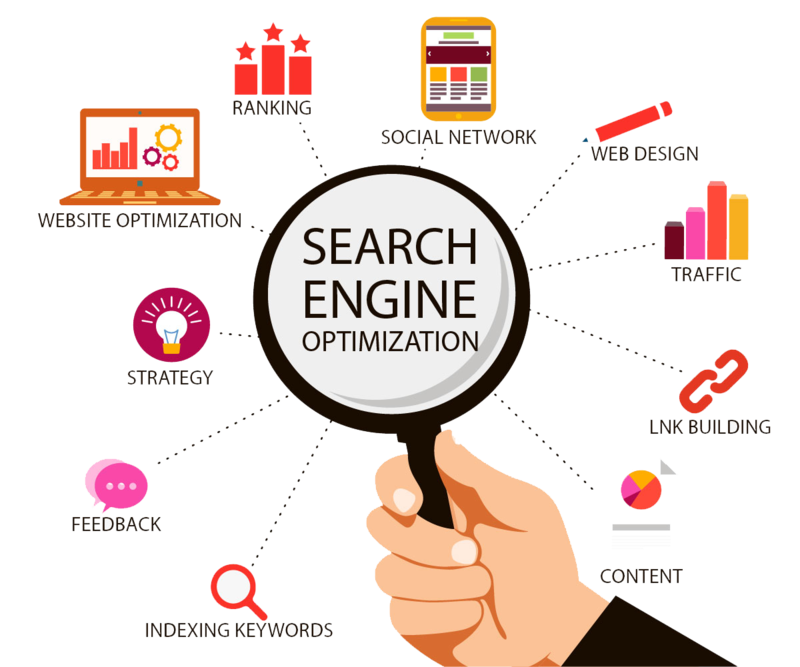 SEO encompasses both the tecnical and creative elements required to improve rankings, drive traffic, and increase awareness in search engines. There are many aspects to SEO, from the words on your page to the way other sites link to you on the web. Sometimes SEO is simply a matter of making sure your site is structured in a way that search engines understand. At Rising Wings Pvt. Ltd., we identify clients' goals, target audience and other aspects of their business to draw people to their sites. Our internet marketers are expert in planning social media aspects and hence implement all marketing strategies accordingly. Merely planning and implementation is not what our internet marketers do for you. We have proved ourself as the best SEO company in Surat. We, Rising Wings Creative Pvt. Ltd in Surat is that one digital marketing company that clearly knows what your bussiness demand. We deliver top class Digital Marketing services such as Google Map Business, social media marketing and paid promotion that suit your convenience, budget and needs so that you can focus on your business, which matters you the most!